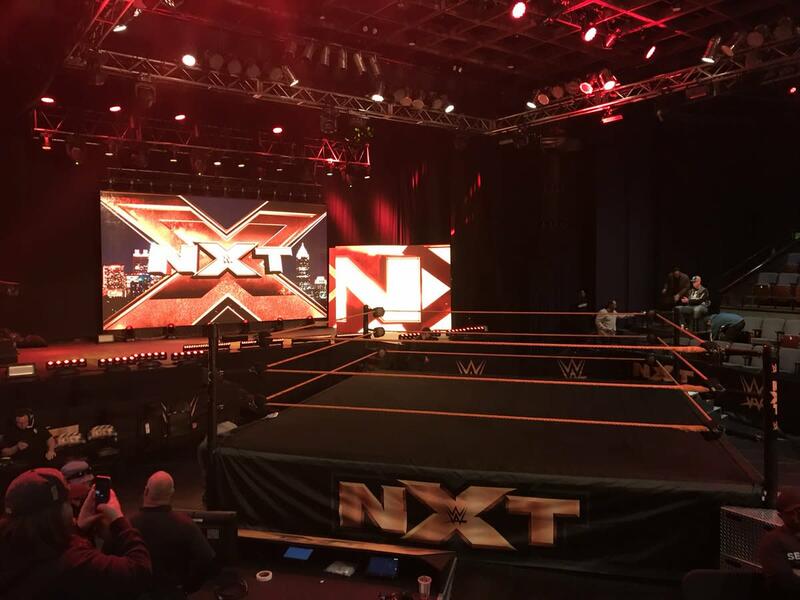 NXT was at Center Stage in Atlanta on Thursday night for the final television tapings before TakeOver: Philadelphia. With approximately 600 people in attendance, the former home of WCW Saturday Night hosted Johnny Gargano putting his TakeOver title shot on the line against Velveteen Dream in the main event. The referee stopped the match after a vicious assault by Baszler. NXT Women's Champion Ember Moon made the save and confronted Baszler following the match. Sullivan destroyed Rush with the Freak Accident, then proceeded to call out Killian Dain before hitting Rush with another Freak Accident. The last one was off the ropes. - The Undisputed Era attacked SAnitY backstage before doing an in-ring promo. Nikki Cross attempted to fight them but was held back, then William Regal announced the next match. Adam Cole took Black's attention away and they brawled while Strong was defeated. Black was beaten down by Cole after. Regal then announced that Black vs. Cole at TakeOver: Philadelphia will be an extreme rules match. Evans cut a promo when this was over, but Baszler showed up and was destroying Aliyah until Moon made the save again. Regal announced Moon vs. Baszler for the NXT Women's Championship at TakeOver. Strong then challenged Sullivan to a rematch. - Johnny Gargano did a promo in the ring about his quest to win the NXT Championship. AOP will face Fish & O'Reilly for the NXT Tag Team Championship at TakeOver. - Before a match could get started, The Authors of Pain destroyed a pair of enhancement wrestlers and taunted Undisputed Era. This was said to be a great match with huge near falls. Gargano fended off Almas and held the title in his hands to end the tapings.